Mostly popular in Indian cuisine, cardamom is a spice that deserves more of your attention. This is a spice made from the seed pods of different plants under the ginger family. Its pods contain several seeds; the entire pod can be used as a whole. Cardamom has a strong flavor and scent, with hints of mint and lemon. This ideal spice has tons of medicinal benefits. Let’s start with its anti-cancer properties. Cardamom has been found to have a positive effect in countering the negative effects of colorectal cancer by 48 percent based on data provided by Sengupta et al. at the Chittaranjan National Cancer Institute. The nutrients present in cardamom were also found to be highly effective in improving heart health. Studies conducted at the Department of Pharmacology and Pharmaceuticals at the College of Pharmacy of King Saud University in Saudi Arabia proved that this spice helps lower heartbeat and control hypertension. Other studies found that the antioxidants present in cardamom significantly lowered cholesterol levels. Furthermore, cardamom possesses methanolic extract, which is effective in controlling acidity, flatulence, stomach cramps, and other gastrointestinal disorders. Its essential oil is also believed to possess anti-depressant properties. Cardamom’s essential oil, which is among the major oils used in aromatherapy, is not used not only to help fight depression but also other illnesses like stomach disorders and pulmonary diseases. Speaking of pulmonary diseases, cardamom has also been traditionally used to cure asthma and bronchitis. It helps improve blood circulation in the lungs. It’s also used to stave off sore throats, nausea, and vomiting. Cardamom can also provide relief from hiccups and urinary disorders and infections like gonorrhea, cystitis, and nephritis. Cardamom is great for heart health. Its anti-inflammatory properties help lower cholesterol levels, reducing your risk of heart attacks and strokes. Similarly, you can also alleviate muscle and joint pains, by ingesting cardamom. Traditionally, cardamom has been a good dental problem treatment. Furthermore, this spice is also beneficial to the digestive system. You can avoid gastrointestinal disorders and even prevent colon cancer by ingesting cardamom. Other health benefits include of cardamom include improved blood circulation, improved cardiovascular health, cure for urinary tract diseases, and relief from asthma, hiccups, nausea, vomiting, and sore throats. You can also use it as a natural breath freshener. 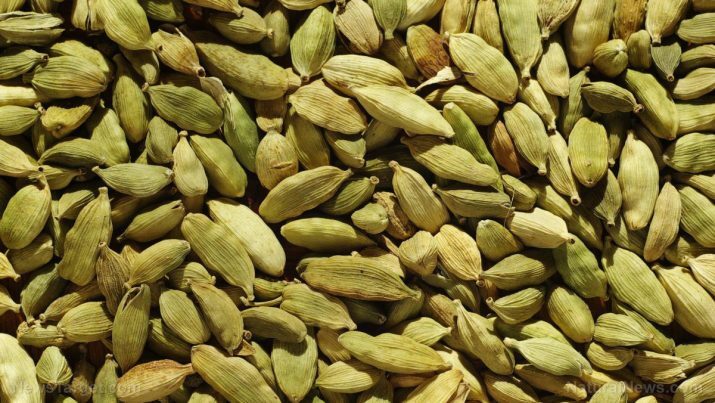 With its strong aroma, cardamoms are a great addition to teas and other dishes. These are commonly used in desserts and other savory dishes. 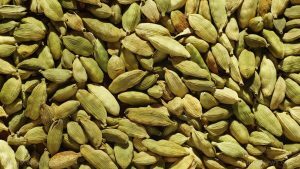 Some incorporate cardamoms in soups or as flavorings in drinks. Most Asian dishes have cardamoms added to rice pilaf, lentil curry, and meat stews. Here are other recipes that incorporate cardamom that you can use. Cardamoms can help prevent colon cancer. Cardamoms are good for the heart. Cardamoms help improve blood circulation. Cardamoms can cure urinary tract diseases and infections. Cardamoms can provide relief from asthma, sore throat, and other conditions caused by inflammation.